Plant genetics is only part of the cacao flavour story. The majority of the flavour compounds, particularly the chocolate flavours are a result of the quality of the ferment. Fresh beans are placed in wooden boxes and the natural sugars and yeasts combine to kick-start the ferment and begin the complex flavour development processes involved. Much can impact on the quality of the ferment – unripe pods, insufficient heat, lack of turning, etc. A significant proportion of the world’s cocoa crop is adversely affected by poor fermentation practices. 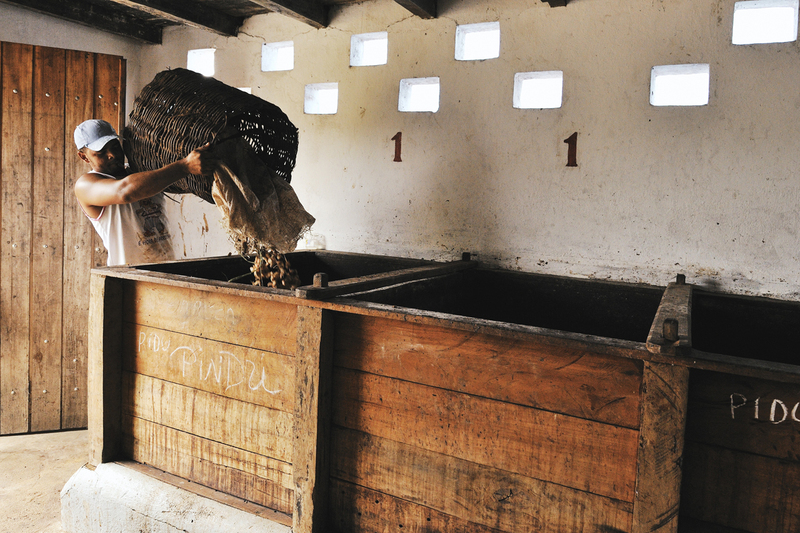 After fermentation the beans need to be carefully dried so that they have a water content of less than 7%. 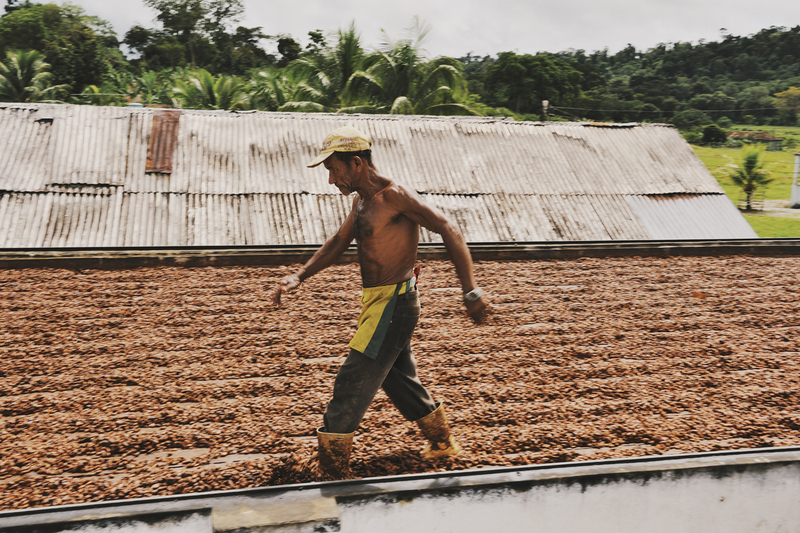 A large proportion of the world’s cacao is dried in kilns that are wood fired. Two problems flow from this – smoke taint and excess heat. Flues are often inadequate and smoke permeates the beans. Excess heat causes the outer shell of the bean to harden too quickly and inhibit the release of acetic acid created during the fermentation process. Solar drying is a slower and more gentle process and removes the smoke taint risk. There is also the suggestion that exposure to UV is beneficial in flavor development. But solar drying takes more time, more work and therefore expense. Solar drying can also be challenging given the climatic conditions of the equatorial cocoa growing regions with frequent rain and cloud cover.